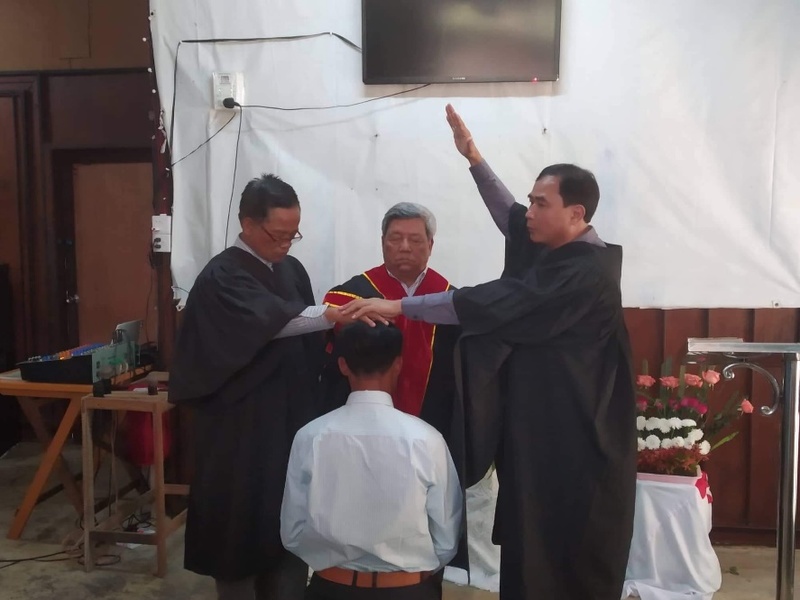 Pastor Kenneth, one of the leadership team of the Advent Christian Conference of Myanmar and leader of his Gospel for Myanmar organisation, has forwarded some news and pictures of their morning service in Yangon on Sunday 27 January and of special activities during the service. 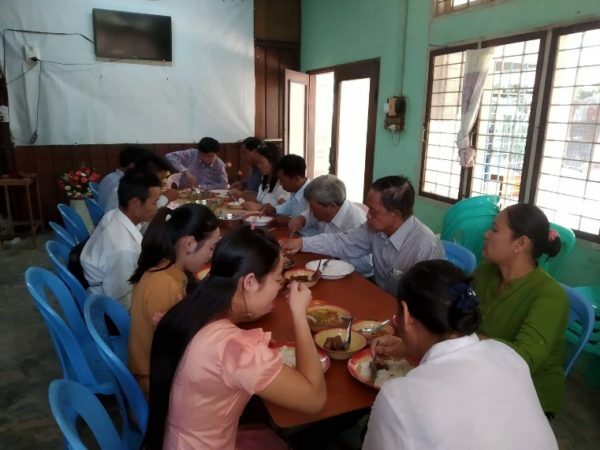 Pastor Hla Thaung’s church is in the village of Okshitgone, about two hours’ bus ride from Yangon city, where they have been ministering since 2008, in a strongly Buddhist community. Their congregation numbers about 40 believers. At the same service the congregation dedicated their church workers to the Lord’s service. 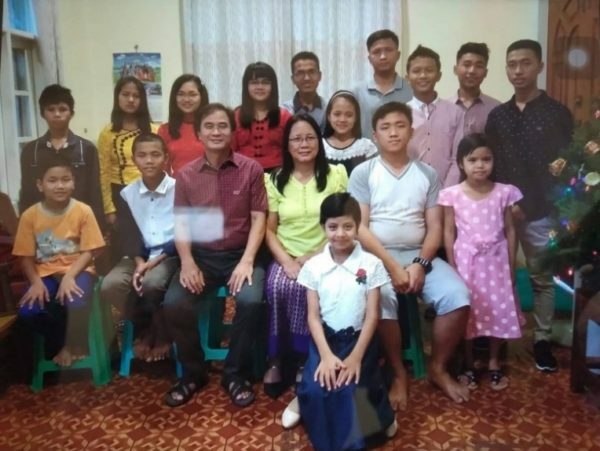 Pictured below left are his family – the “Salem family” – with Pastor Kenneth and his wife Eunice (middle front row), their two sons (at Eunice’s left and immediately behind in the back row) and the orphan children that they have raised in their own home, and at right some of the congregation members at their celebratory meal after the service. 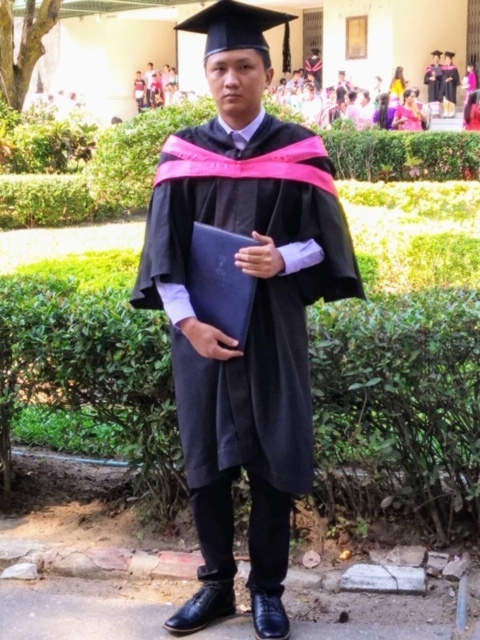 Pastor Kenneth and Eunice are very proud of their elder son, who has recently graduated with a BA degree in English. 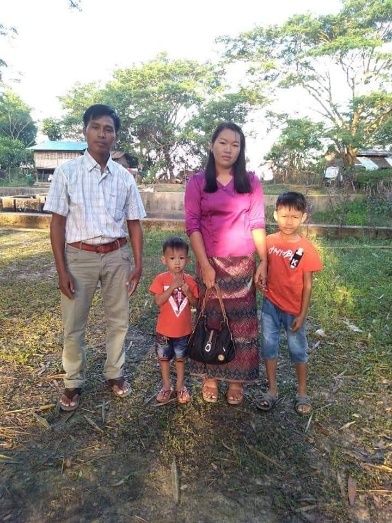 Please pray for Pastor Kenneth, his family and those who serve the Lord with him throughout their country, with the Gospel for Myanmar organization. 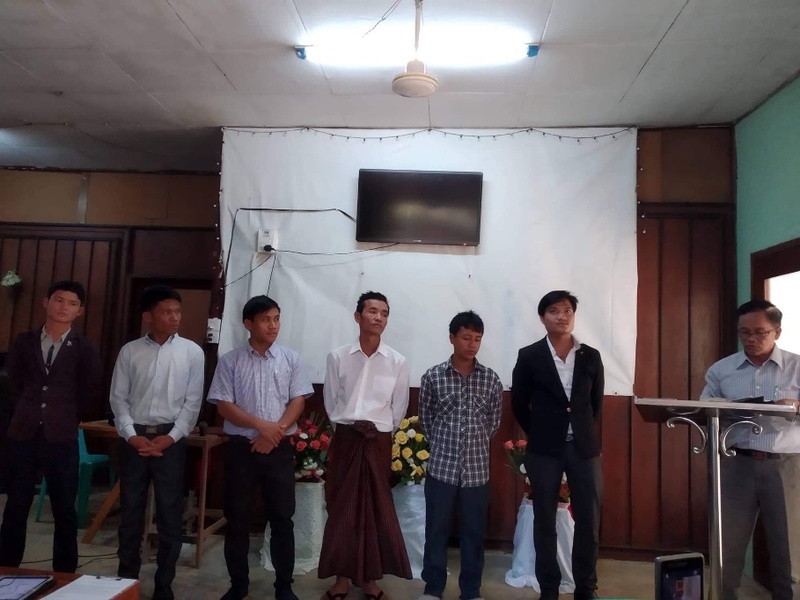 Please also pray for the students who study in their Bible College in Yangon.